All that cold brew coffee must be getting to his brain! Still, it’s an awesome video. Derp. I am beat after Comic-Con! For my money, “utterly amused by everything” is one of the better symptoms of full-stop exhaustion to endure. Aww. I miss my read-along records. 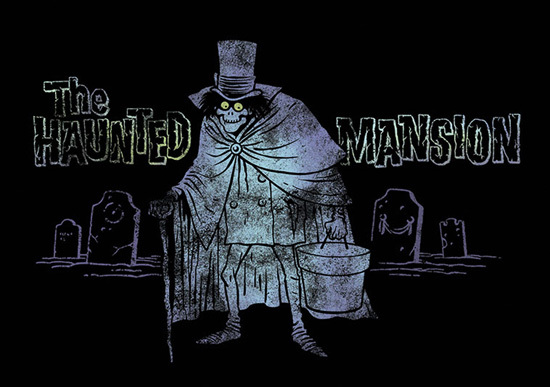 You would think, with the advances in technology, they could easily put in a hatbox ghost now to fulfill his legend! Come on Disney Co. Get on it. You have a licensing opportunity here!